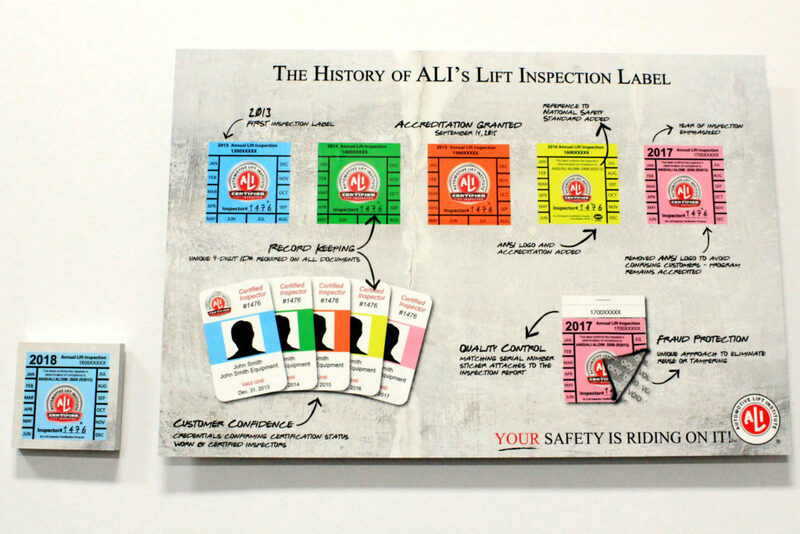 The Automotive Lift Institute on Tuesday warned that counterfeit lift inspection labels dating back to 2016 had been discovered in New York City and Long Island. 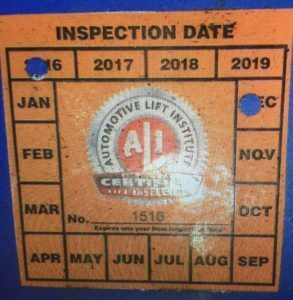 The ALI accused Jamaica, N.Y.-based Gemco Garage Equipment Corporation of using the stickers despite not being affiliated with the the organization or being authorized to dispense such labels. “ALI intends to prosecute this unethical approach that undermines public trust and lift safety,” the ALI wrote in a news release. ALI spokeswoman Kristen Simpson said ALI would determine the nature of the prosecution (civil or criminal) in consultation with its legal counsel. A Gemco foreman said Friday no one would be available for comment until Monday; continue to check Repairer Driven News for a response. Simpson said the labels were the first time ALI had seen counterfeits nationwide. ALI-certified companies with at least one certified inspectors can be researched here. The closed approved facility to Gemco’s Jamaica 11434 ZIP Code appears to be Bellmore, N.Y.-based Karl’s Equipment & Supply. ALI President R.W. O’Gorman told FenderBender on Thursday any shops with suspicions can just call ALI for confirmation the inspector or label is legitimate. Having functional, properly installed lifts and ensuring they are inspected and maintained falls under the OSHA General Duty Clause, according to Simpson. She said shops would also have to properly train employees in lift operation to keep OSHA happy. However, while OSHA treats lifts as one of the miscellaneous items covered by the General Duty Clause, the International Building Code in use across America specifically calls for lifts meeting the ANSI/ALI’s standard, Simpson said.